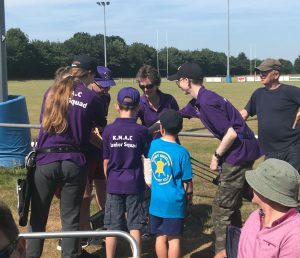 On a very hot Sunday morning, seven KMAC juniors took part in the County Junior shoot on 1 July at Fosse Archery Club. 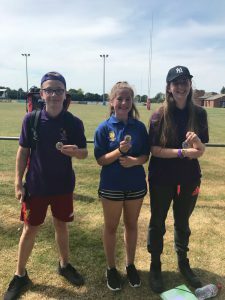 Three juniors were shooting in their first competition. 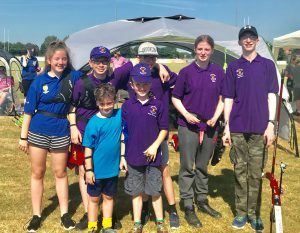 Everyone shot very well, and between them they won 3 medals, a 1st & two 2nd, also a number of personal Bests (PBs)were attained along with many Fox awards. The team really upped their game when it came to shoot for chocolate, and won lot and lots of chocolate!! 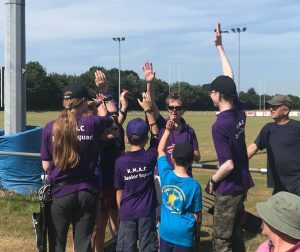 The juniors were all supported by their families and coach, and everyone had a very enjoyable day.